Many initial responses, especially among the political left, may hinge on shrugs. 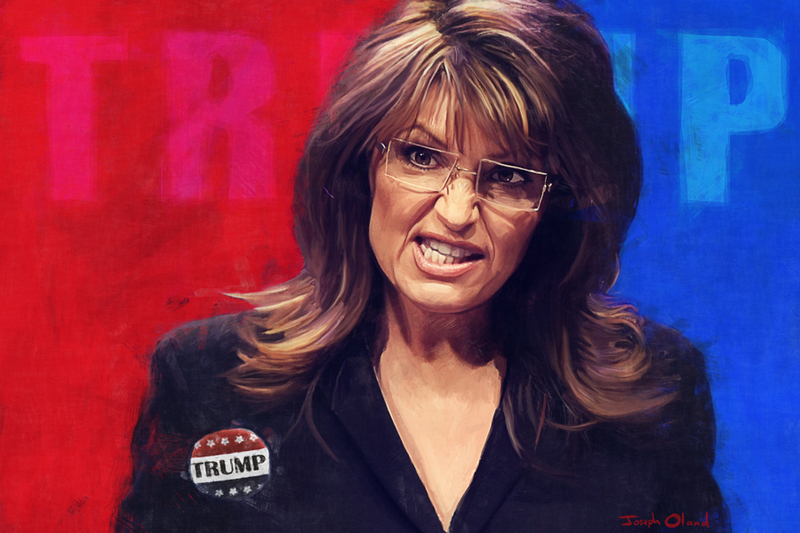 After all, it’s no secret that Sarah Palin is the darling of the Tea Party movement. In her own way, she’s just as bombastic as Donald Trump. It would follow that anybody who likes Sarah Palin probably already enjoys the aggressive rhetoric of the GOP front-runner. As pitiful as the reality is, celebrity endorsements work. And this one is a big win for the Trump campaign. Tuesday afternoon, Sarah Palin, former governor of Alaska and 2008 vice presidential nominee, officially endorsed Donald Trump for the office of president of the United States. This is the first major endorsement for any candidate on either side. With narrow poll numbers between the Trump and Cruz camps , this type of endorsement may prove to have a significant impact in Iowa. Despite being a consistent and trustworthy punch-line, Palin remains well-loved and influential among Tea Party voters. This move, just thirteen days before the caucuses, may be the ammunition Trump needs to emerge victorious. Like Trump, Palin is a successful reality television personality who is unusually gifted at deflecting negative attention and recovering quickly from scandal. A generation ago, Trump’s rhetoric would not be tolerated. Among the conservative Christian crowd, his multiple marriages alone would be enough to raise eyebrows. In today’s political climate, denying refugees entrance and promising to use nuclear arms against Islamic State are positions welcomed with applause. This begs the question: what does it say about the GOP when authoritarian, arrogant, and often ill-informed reality television stars are knocking on the doors of the White House? Palin’s endorsement shouldn’t mean anything, but that isn’t the reality. It’s a new book deal, more media exposure for Trump, and probably renewed discussions for yet another television show. It’s all theater, we know it, and we gobble it up like hungry pigs anyway. Just as any Hollywood celebrity endorsing a candidate shouldn’t mean anything, the American voter is more inclined to support a candidate because Johnny Depp says so, without ever so much as reading an article, watching a debate, or crunching a number. This needs to change, and it can’t happen quick enough. This entry was posted in Politics & Editorial and tagged campaign, caucus, caucuses, donald trump, election, endorsement, GOP, Iowa, nomination, palin, POTUS, reality tv, republican, sarah palin, tea party, the donald, trump. Bookmark the permalink.